It’s time to cast your vote! In honor of Election Day tomorrow, we wanted to celebrate with a friendly competition of our own. We want to know what your go-to holiday look is. After you cast your vote, don’t forget to check out all of our new arrivals on Buckle.com. 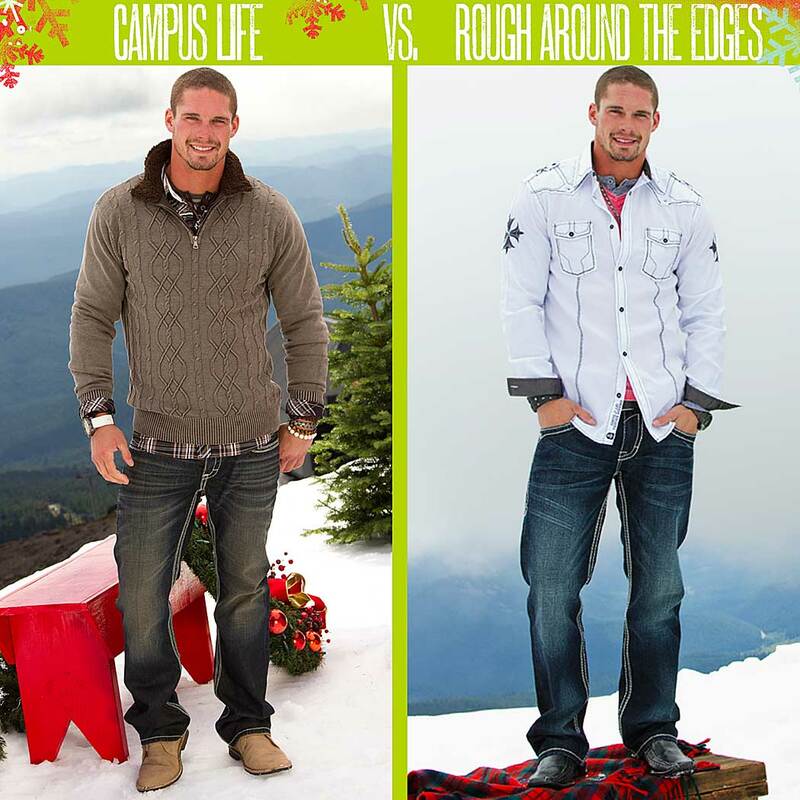 Guys, is your go-to holiday style more ‘Campus Life’ or ‘Rough Around the Edges’? Gals, is ‘Pretty Spoiled’ your go-to look for the holidays or are you more the ‘Well Grounded’ type? Wow that's a difficult one!! I like both outfits equally!! !